2003 mini cooper s - huge headache. I love the look of the vehicle. I bought off of a friend who buys and sells vehicles. He had just purchased the vehicle and thought it was in good shape. Boy was he wrong. The person that he purchased it from obviously did not take care of this vehicle. This vehicle was in bad shape and I had problem after problem with this vehicle. After day 3 I starting having problems starting the vehicle. But they could not figure out what was wrong with the vehicle. It wasn't the starter. And it took them awhile to figure it out. Everything in the vehicle seemed like it was just falling apart. Had issues with the pieces kept falling off. When I say pieces I am referring to trim around sunroof, covers over air the air vents. Handles in the back that helps people get out of the vehicle. Trim/cover around door handle. The passenger window started giving me problems. It would take a while to roll up the window if down past a certain point. Now it doesn't roll up at all. I believe it just off its track and easily fixed. Cigarette lighter/charging outlet broke. Ac stopped working. Compressor is good. Air turns on, it's just not cold. Radio turns on but no sound. Think that may be just a simple fix. Thinking the previous owner may have changed it out and when selling, he may have just put the factory radio back in without properly installing it. There was a huge oil leak. Being that I was not too familiar with the vehicle, so when I tried to squirt water on the windshield. It ended up squirting water on the lights. Apparently this particular vehicle shoots water on the headlights. Well it opened up and squirted the water on the front light. And the cover to that flew off. The trim over the driver side tire fell off. And the list goes on. I am not sure if it is because how poorly these vehicle are made or because of how the owner didn't take care of the vehicle. But I have had nothing but problems with this vehicle. But I do like the look comfortness of the vehicle. I also like the size and control it has on turns. Maybe I just got a bad one. Even after all the problems I have had, I still would consider purchasing a new one. My Mini Cooper is my favorite of any car I have ever owned. It is small and gets great gas mileage. It is easy to handle and has great pep. When the seats in back are flattened, there is an abundance of cargo space. The only thing that is inconvenient is not having space for a spare tire. The original tires are run flat. But if you don't get run flat replacements, you are up the creek if you get a flat. 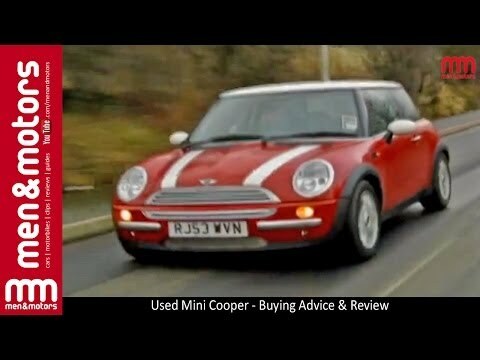 Mini cooper: my honest review. Mini coopers drive like go karts. They are fun fast and reliable. I have had a few issues with mine; the headlights have issues, it can be loud, and a side piece fell off during a heavy rain storm. I did however buy it second hand. But if you are considering getting a mini, do it. I do not regret my purchase one bit.